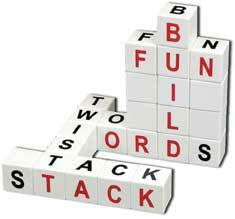 Teacher Plus introduces interesting word games for teachers to take a break from everyday school schedules. These games can also be played as a classroom activity, with children, helping them improve their English language skills. The solutions to the games in this series will appear in the next issue. The first three entries with the complete solution will win exciting prizes. Every schoolchild knows that kangaroos carry their babies in their pouches. Fewer people know about kangaroo words, which carry their own baby words with the same meanings. For example, the kangaroo word illuminated contains the synonym lit among its letters. 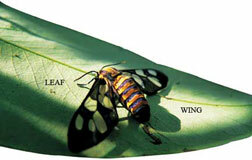 Similarly exists hides the word is and deceased includes dead. Can you find two synonyms inside these kangaroo words? Words are sometimes composed of other words. The word dustbin consists of dust plus bin. To reverse the process, which word can be made out of the letters in the three words moor, root, and tow? The answer (or at least, one answer) is tomorrow. In the puzzles below, try to find eight-letter words which can be made from the letters of the sets of three words. Try to make the following transformations in the specified number of moves. 1. Change CAT into DOG in three moves. 2. Change SICK into WELL in four moves. 3. Change HARD into EASY in five moves. 4. Change RICH into POOR in six moves. 5. Change BREAD into TOAST in seven moves. The English language has many pairs of words that sound the same but are spelt differently. They are called homonyms or sometimes homophones. Identify the pairs of homonyms from the following clues. Example: One word means a place for keeping aircraft; the other word means a shaped piece of wood, metal, etc., on which you can hang clothes. 1. One word means simple; the other means an aircraft. 2. One word means expected; the other word means condensed vapour. 3. One word means to hit; the other is a vegetable. 4. One word is a day; the other is a dessert. 5. One word means a woolly South American animal; the other means a Buddhist monk in Tibet or Mongolia. An anagram, says the Concise Oxford Dictionary, is ‘a word or phrase formed by transposing the letters of another word or phrase’. Can you transpose these words or phrases to make new words or phrases? Example: Rearrange the letters of the word ‘rail’ to make a dishonest person. 1. Rearrange ‘brush’ to make a kind of bush. 2. Rearrange ‘lemon’ to make something else to eat. 3. What do you have to be if you want to ‘listen’? 4. In two words, where can you find a ‘schoolmaster’? 5. Which part of the body is a ten-letter word in which the last five letters are an anagram of the first five letters?